Pacquiao Loses: Where Does it Leave Terence Crawford? Briggs Seekins July 5, 2017 Boxing, Headlines No Comments on Pacquiao Loses: Where Does it Leave Terence Crawford? Heading into last weekend, most boxing fans assumed Manny Pacquiao would beat Jeff Horn. In the wake of that, we would have been left hoping for a late 2017 showdown with Super Lightweight World Champion Terence Crawford. But Jeff Horn (and arguably the three judges) upended that storyline. Whether or not you feel Pacquiao was robbed by Horn, you have to concede that his performance against Horn leaves him far less marketable moving forward. Even if you believe with all your heart that the decision was a travesty of justice, it is still clear that Pacquiao is no longer the dynamic superstar he once was. A fight between him and Pacquiao is far less alluring now. 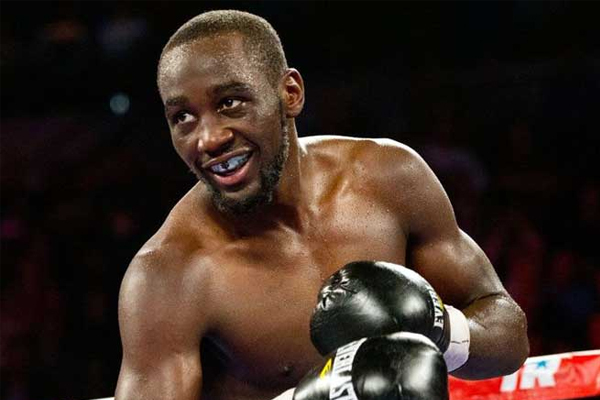 At the same time, maybe the lesson from Pacquiao loss to Horn should be “don’t look too far into the future in boxing.” Crawford still has to defeat Julius Indongo on August 19. Indongo is a rugged contender with dangerous power. He holds the IBF and WBA belts at 140 pounds. Those are not legitimate world titles, but they give Indongo legitimate stature. Indongo deserves the respect of not being looked past. But unlike Pacquiao, Crawford is in his prime. It’s reasonable to expect that he will prevail in August. If he does, it will leave him not just the lineal world champion at 140 pounds, but all the undisputed champ–holder of all four major, alphabet-soup belts. But he will have little left to prove in the division. A superfight with Pacquiao would have been the next logical move, so long as Pacquiao was willing to make the fight. It’s tough to see Pacquiao ever making that fight now, or trainer Freddie Roach wanting him to. One solitary possibility that might still remain for Crawford at 140 pounds is the winner of Mikey Garcia vs. Adrien Broner, slated for July 29. If Garcia wins, he will solidify his pound-for-pound stature, with wins over top fighters in four different divisions. If Broner wins, he has the best victory on his resume. And love Broner or hate him, he has always been a fighter who can sell a big fight. So long as he handles business against Indongo, the winner of Garcia vs. Broner will be the only bout that makes sense for him next.